Marking Identifier & Progressive Lens Identifier. Instrument for checking CR39 high index and polycarbonate lenses. This device will greatly assist in the quick and easy location of the various manufacturer’s marks placed on progressive lenses. This is achieved by special background contrasting and lighting. 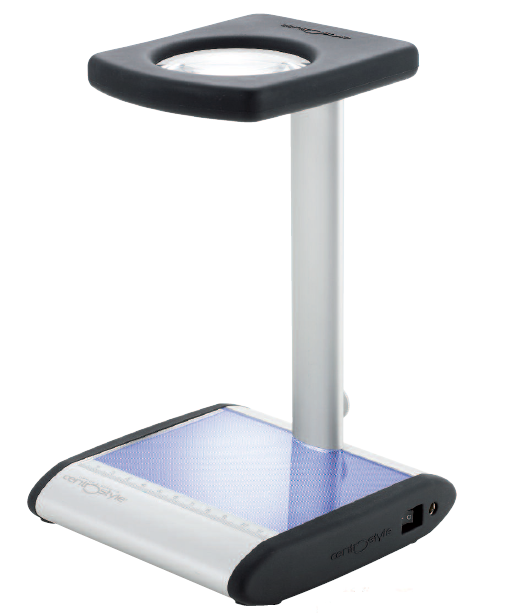 The mounted magnifier assists in the reading of the marks. Manufacturer’s markings. Lens type ID. Marks. Added power.